The details of the mission are a little sloppy, but the appeal of watching Bruce Willis, John Malkovich, and Helen Mirren rock some serious firepower is still there, making “RED 2” another satisfying Retired and Extremely Dangerous thrill. Frank (Willis) is back to trying to live the quiet life again until Marvin (Malkovich) interrupts his Costco shopping session to warn him that Nightshade has come back to haunt them. Nightshade is a Cold War era nuclear weapon that went missing on their watch, but now it’s back, and both the US Government and MI6 think that Frank and Marvin know where it is. With Victoria (Mirren) trying to track them down on behalf of MI6 and a deadly assassin named Han (Byung-hun Lee) aiming to take them out for the US, Frank, Marvin, and Sarah (Mary-Louise Parker) have no choice, but to travel the globe and figure out where Nightshade is for themselves so they can put an end to all of this. There are two primary components to the “RED 2” story and while neither works particularly well, there’s enough outrageous action to fill up the plot holes and make it an entertaining watch. Watching Bruce Willis, John Malkovich, and Helen Mirren team up to blow enemies away with machine guns and explosives has an undeniable charm and it goes to show.RED opened in October of 2010 to the tune $21.8 million and then went on to stay in theaters for four full months and accumulate nearly $200 million worldwide. These Retired and Extremely Dangerous agents certainly earned their sequel. In RED 2, opening July 19, we find former CIA black ops agent Frank Moses (Willis), again, happily retired, but this time he’s living the Costco shopper life with Sarah (Mary-Louise Parker) by his side, much to her chagrin. But soon enough, she gets her wish and gets to add a little danger to their romance again when Frank and Marvin (Malkovich) are tasked with finding and destroying a missing Cold War weapon that returned to pose a serious threat. As if tracking down a super weapon isn’t tough enough, Frank, Marvin and Sarah have to do so with two assassins on their tail – the US hire, Han (Byung Hun Lee), a contract killer with a vendetta against Frank, and someone dispatched by MI6, none other than their old pal, Victoria (Helen Mirren). 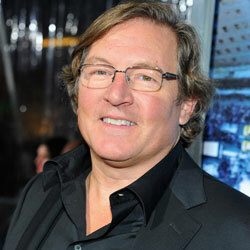 Lorenzo di Bonaventura knows how to make a summer blockbuster.Transformers scored $70.5 million opening weekend in 2007, Transformers: Revenge of the Fallen topped that with nearly $109 million in 2009, G.I. Joe: The Rise of Cobra posted a $54.7 million start just after that, and thenTransformers: Dark of the Moon pulled in $97.9 million its first weekend out in the summer of 2011. Now the question is, can he take a long-range success and turn it into one of those summer tentpoles? RED opened in October of 2010 with a moderate $21.8 million. Considering the film had a $58 million production tab, $21.8 million is sufficient, but also doesn’t necessarily scream franchise-worthy. However, then RED went on to spend a whopping four months in theaters, never losing more than 50.1% of its profits in a single weekend, which let it end its theatrical run with a domestic grand total of $90.4 million and a worldwide total of $199 million. Now a number like that deserves a sequel – which is why summer 2013 brings us RED 2. 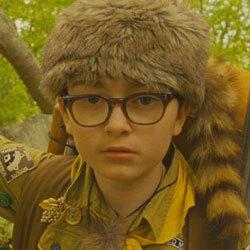 At just 13-years-old, Jared Gilman has already gone through a number of auditions, but also managed to land his first leading role, the role of the unpopular yet tenacious Sam Shakusky in Moonrise Kingdom. Sam falls for Suzy Bishop (Kara Hayward) the moment he lays eyes on her. The romance heats up as the two send each other letters and eventually decide to run away together. Sam packs his wilderness survival essentials and ditches his Khaki Scout troop while Suzy puts her kitten in a carrier, takes her most prized books and hits the road. When Scout Master Randy Ward (Edward Norton) and the Bishops (Bill Murray and Frances McDormand) realize the kids are missing, they enlist in the help of Captain Sharp (Bruce Willis) to track them down. While Moonrise Kingdom rocks very familiar names like Murray, Willis, Norton, McDormand and more, Gilman and his young co-star, Hayward, undoubtedly steal the show. You’d think it might have been the slightest bit intimidating stepping in front of the lens for Wes Anderson and in the company of such monumental talent, but a lengthy audition process gave Gilman all the confidence he needed to pull it off. Is it possible for a film starring Bruce Willis, Morgan Freeman, John Malkovich and Helen Mirren to be bad? Maybe, but if you put handguns, machine guns and grenade launchers in theirs hands and give them some snappy dialogue to work with, you’re basically home free. What happens when a highly skilled CIA agent retires? He’s labeled RED, short for Retired and Extremely Dangerous and there’s really no better way to describe retiree Frank Moses (Willis). He’s doing okay in a cozy suburban town, decorating his house for the holiday like he’s supposed to, but the highlight of his day is calling a particular federal pension employee, Sarah (Mary-Louise Parker). He calls on a regular basis to report missing checks, but the two simply enjoy talking to each other. Unfortunately for Sarah, Frank’s house is bugged and after narrowly escaping an ambush, he knows the bad guys will head straight to her place. Having no choice, Sarah reluctantly tags along with Frank as he visits all of his old CIA pals. First stop? Joe (Freeman) who now calls an old aged facility home. Next up is Marvin (Malkovich), a wacky, but skilled ex-agent who’s convinced the government is out to get him. Then there’s Ivan (Brian Cox), a former Russian spy who has a history with the team’s last member, Victoria (Mirren), an elegant ex-MI6 agent. Now that the gang’s all back together, it’s time to take out the bad guys; some nasty folks who don’t want them to spread a little secret.